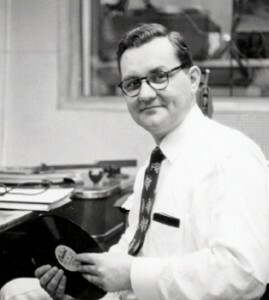 Reid Chapman, veteran broadcaster and co-founder of the Broadcast Pioneers organization, died November 29, 2006 at age 86. Shortly before his death, he was awarded the first IBA “Lifetime Achievement Award” at the Broadcast Pioneer Hall of Fame Ceremony on October 12, 2006. It would be difficult to find anyone who had an earlier interest in broadcasting than Reid. In the late 1920s his cousin and he hooked up a crystal set, twisting an antenna to the bed springs and, with a little wire bending, they were able to pick up WLW in Cincinnati. This inspired Reid to become a radio announcer in his grade school classroom. He began promoting paper and cookie sales with a make-believe microphone made from a broomstick topped with a tin can full of holes. After graduation from Broad Ripple High School and two years at Butler University, he got his first radio job in 1943 at WAOV in Vincennes, Indiana. He covered the Vincennes flood from a motorboat on the Wabash River which rose almost to the tops of the telephone poles. 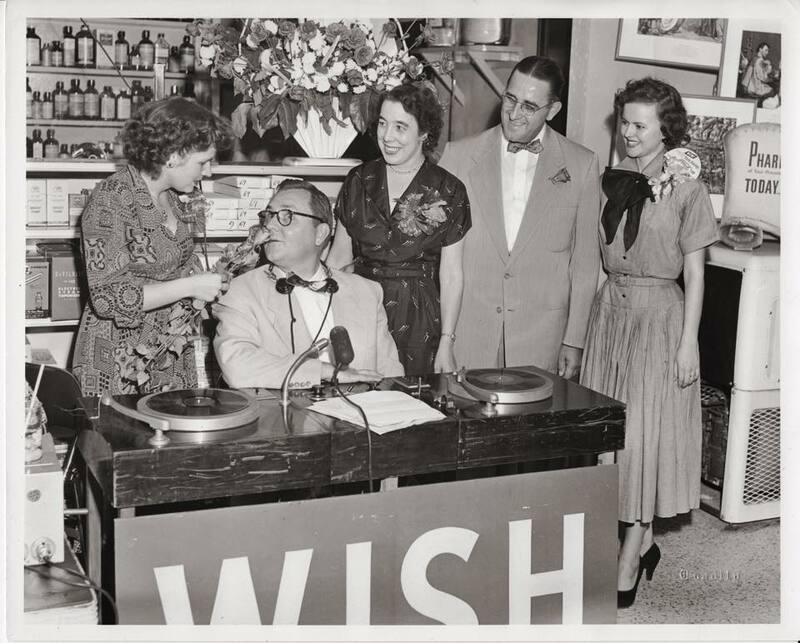 After seven months at WAOV, he was offered the job of music librarian at WISH radio in Indianapolis. 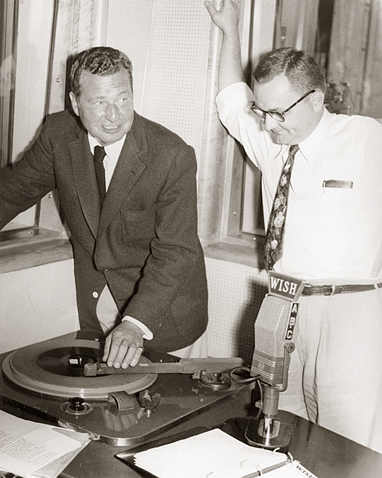 After his music librarian duties were over each day, he was allowed to go on the air each night for 30 minutes…without pay of course. As his career advanced he began to get more air time and was eventually given his own program which was sponsored by Chuckles candy. Reid said, he played popular records, told some jokes and sold Chuckles candy. Five slices, five flavors and five cents. Combined with his candy and his one-liners he soon became known as “Chuckles” Chapman. 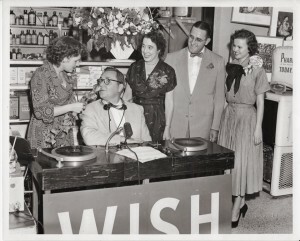 Reid’s career at WISH progressed until he was hosting a “Breakfast with Chuckles” program from the Circle in downtown Indianapolis and later from the WISH auditorium studio. He began to be in great demand for on location remotes, peddling everything from peat moss to automobiles. His program was a must-stop for any celebrity from Sonja Henrie to Monica Lewis to Julius LaRosa to Liberace. 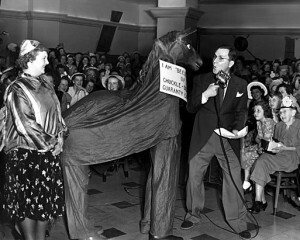 When WISH TV came on the air in 1954, Reid began doing “Breakfast with Chuckles” on television with equal success. In 1956, Reid was transferred to Fort Wayne to manage WANE radio. In 1958, he also became Vice President and General Manager of WANE TV. Always comfortable on the air, he created a “Meet the Manager” program in which he answered viewer’s questions in an off-the-cuff manner reminiscent of his old “Chuckles” show. Later, Reid became National President of the Broadcast Pioneers and went to the White House where he presented President Ronald Reagan with an honorary lifetime membership. In 1981, while he was President of both the National and the Indiana Chapters of the Broadcast Pioneers, he recommended that the state chapter establish a Hall of Fame to recognize the Hoosier broadcasters who have made significant contributions to the industry. In 1991, Reid became Executive director of the Northeast Indiana Radio Reading Service, an organization that provides free radio reading service for people who are blind or have a visual or reading impairment. After a life of broadcasting to others, Reid, due to macular degeneration, was able to enjoy listening to the newspaper every day from the organization he once headed.